Senator Iyiola Omisore, the candidate of the Social Democratic Party in the Osun governorship election has been the target of attack by PDP supporters on Twitter. And he has also been praised by supporters of the All Progressives Congress for helping their candidate, by default. The PDP sympathisers are blaming him for playing a spoiler and giving the APC candidate, Gboyega Oyetola, a decisive advantage over the PDP candidate, Ademola Adeleke. 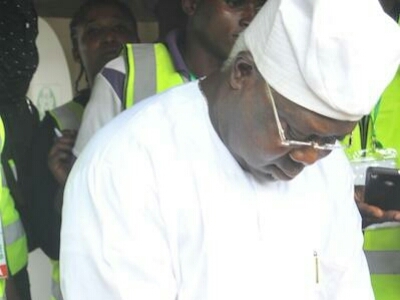 In their calculations, Omisore has taken away the votes that ought to have been won by the PDP candidate, who according to unconfirmed reports, is trailing the APC candidate, from results from the 30 local councils being collated. Omisore proved he has a solid home base when he thrashed all the other candidates, by winning his polling unit with 166 votes, leaving the APC, PDP and to scramble for the remaining 60 votes. PDP only scored nine votes at polling unit 3, Moore ward in Ile-Ife. He went on to win his Moore ward 11 by polling 2663 votes, while the APC candidate won 706 votes. The PDP candidate came a distant third winning 342 votes. ADC got 26 and ADP 145 votes.